​According to a 2016 survey of 1,000 drivers conducted by the Rubber Manufacturers Association, the average consumer doesn't have adequate knowledge about proper tire inflation maintenance. Only 17% of drivers are "tire smart," or know how to properly check tire pressure. Only 50% of drivers know where to find the correct inflation pressure for their vehicle: The label on a vehicle's driver-side door or owner's manual. Fifty percent of drivers wrongly believe that the correct pressure is listed on the tire sidewall. One out of three drivers don't know that tires should be checked "cold" before driving. One of the biggest mistakes you can make is checking tires after driving. As tires roll, they warm up, which causes the pressure to increase. This could yield a false tire pressure reading. Four in 10 drivers believe they can tell if a tire is under-inflated just by looking. Two out of three drivers do not check the tire pressure in their spare tire. Having your tires inflated to the correct pressure is critical for alignments, TPMS (Tire Pressure Monitor System) service, and maintaining fuel efficiency. If you are not filling your tires to their correct tire pressure, you could be setting yourself up for failure, so never underestimate the value of proper tire inflation. Nearly every vehicle owner's manual and door jamb placard recommends tire pressure be set when the tires are cold, but what is 'cold'? As a general recommendation, most OEMs say that the tire should be sitting for at least three hours. 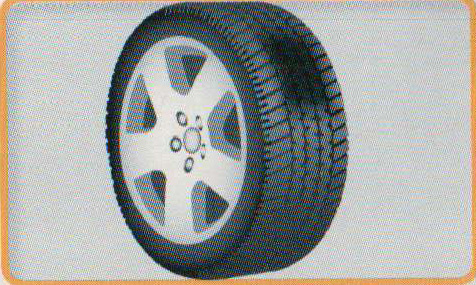 Ambient temperature affects tire pressure on every tire. For every increase or decrease of 10°F of ambient temperature, tire pressures will change about 2%, or about 1 psi (pounds per square inch) for the average passenger vehicle tire. If a tire's pressure was set on a summer day when it is 90° F and it is now 40° F, the tire will have lost 4-5 psi just due to changes in temperature. On some vehicles, this could cause the TPMS light to illuminate. It also works the other way around. If a tire was inflated at 40° F and the outside temperature is now 90° F, the tire could now be over-inflated. Always take outside and indoor temperature into consideration when setting inflation. For example, a 40° F discrepancy may require you to add 3 to 4 psi (40° F = 4 psi) over the placard pressure to account for cooling when the vehicle has been parked outside. If this is done correctly, the cool pressure should be close to the specified cold pressure. As a general rule, never set the tire pressure below the specified placard value regardless of tire temperature or ambient temperature. Some late-model vehicles can take the ambient air temperature into account to avoid false activation of the TPMS light. Before you top off a tire, take some time to investigate where the air has gone. On late-model vehicles with TPMS, one of the leading causes of slow leaks can be a neglected service kit for the TPMS sensors. Some service providers can assume they are doing their customer a favor by saving them the expense of installing a new service kit, but that is not the case. Often the sensor will be hit during removal or installation and the seal between the rim and the sensor's valve stem will be disturbed. This can cause a slow leak. In addition, the service parts of the sensor have a limited lifespan because the heat from the brakes and other environmental contaminants can cause the soft components to degrade and the metal components to corrode. With that said, never reuse nuts, grommets or valve stems. Aluminum TPMS valve stems and nuts are anodized to prevent galvanic corrosion and material deterioration. The nut has a bonded lubricant to help provide the proper torque required for seating a new grommet. If a nut is reused, the anodized surface may be scratched away and corrosion may occur between the sensor, wheel, and stem. 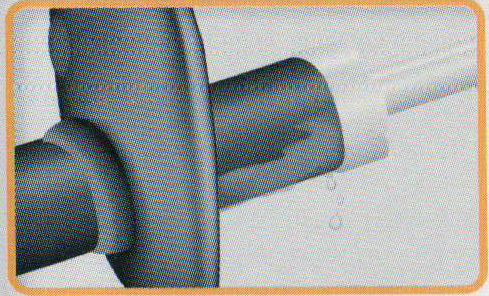 Snap-in valve stems and grommets conform to the mating surface of the rim. The instant the nut is torqued or a valve stem is pulled through the rim, it starts to take on the shape of the surfaces against which it is sealing. This memory cannot be erased, so if the seal is reused, it could cause a slow leak. Setting the correct tire inflation should be one of the first steps of performing an alignment. Not setting the correct tire pressure could cause a misaligned vehicle that pulls no matter how perfect the toe and thrust angles are set. If the rear tire pressures are too low or high, they can change the caster setting. This could cause poor steering feel and hurt straight-line stability. If the front tires don't have the same pressures, they could cause the vehicle to pull in the direction of the lowest tire. Buy a quality tire pressure gauge. We advise our customers to purchase a digital gauge to check their tires in between services. A quality tire pressure gauge should have a tolerance of plus or minus 1%. Anything beyond 2% can cause you to set tire pressures too low or too high. Also, treat your tire gauge like it's your new iPhone. No, your screen may not shatter, but dropping a tire gauge from only 4 feet can change the readings -- this goes for both digital and analog gauges. Is It Time For A Transmission Filter Change? Factory manuals and transgression service manuals list the recommended service intervals of the transmission at an average of 30,000 miles. Be sure to check the OE requirement for each transmission for the exact mileage. In severe duty, the intervals of changes will be shortened. Be sure to use the proper transmission fluid and additives as recommended by the OEM vehicle manufacturer. Transmission fluid is a multi-application fluid. It lubricates, is a coolant, and is a hydraulic fluid operation the transmission. Dirty fluid and filters cause a drop in the fluid circulation rates, causing more heat build-up, which causes the transmission fluid to deteriorate and oxidize, which causes the burnt smell and becomes very sticky. This condition creates excessive wear. Excessive heat is the number one cause for transmission failure. A restriction in the flow of the transmission fluid can result in major heat build-up and transmission damage. The restriction affects the hydraulic pressure, resulting in slippage leading to accelerated wear on clutches, bands, or other internal components. Keeping the transmission system clean is very important. Removing any contamination that can interfere with the operation of transmission components, such as valve bodies and solenoids, will promote a longer transmission life. Once upon a time, when a car came in with a transmission problem, there was a really good chance there was something wrong with the transmission. Batteries? Tires? Tailgates? Those were someone else's problems... they certainly had nothing to do with the transmission operation. These days? Well, weird things happen every day. Like transmission problems caused by low voltage, poor cable connections, or loose or dirty grounds. And to make things even weirder, the battery may still start the engine without being jumped or the terminals cleaned. So how do you deal with transmission problems caused by the battery? Start by cleaning and tightening the battery terminal ends before chasing electrical codes. Even if the terminals look good and the vehicle starts without a problem. And if it looks like this one (Right, below for mobile readers) don't even think of going any further until you clean the terminals and check the voltage. This particular instance was a 41TE where a shop worked on it for two days for solenoid codes. A Saturn equipped with a TAAT transmission had a complaint of hard shifts. There were no codes stored in any module. The battery voltage was low, but the engine started without any problems Charging the battery corrected the hard shifts. 2004 Saturn Vue with the MDRA Honda-type 5-speed transmission had a slip or delay on forward engagement. It sometimes fell out of gear at stop or defaulted to second-gear starts. The wrench light on the dash would light sometimes, but there were no codes present. Checking the battery revealed it would develop only 11.9 volts; replacing the battery fixed the transmission problem. Dodge or Chrysler vehicles cycle in and out of lockup or 4th gear without any codes stored. This symptom appears most often at light throttle, between 35 to 45 miles per hour. There's a list of 22 or more issues that can cause this complaint, but the most common is loos or dirty battery terminals and poor ground connections. Ford trucks equipped with a power takeoff (PTO) unit ; the PTO stops working after a transmission rebuild. There's no problem with the battery voltage or connections; the problem was cause when the battery was disconnected during repair, causing the computer to lose its memories. TO correct it, you'll need to drive the vehicle for at least 7 miles at speeds over 50 MPH for the computer to relearn PTO function. Late model Mercedes vehicles with a weak battery or a replacement battery that won't provide adequate current for the starter. This can cause pump bushing failure because of the additional starter draw through the transmission bell housing. And the weirdness doesn't end with the battery: Weird things can happen to the transmission because of tire problems, too. Problems such as low pressure, wrong size, or mismatched brands can cause a range of "transmission" problems. For example: A BMW equipped with either a 4L30E, or ZF 4- or 5-Speed transmission won't upshift to or past 4th gear after driving on the highway. The transmission receives commands to only 3rd or 4th gear, with no codes stored. This particular vehicle had only 42,000 miles, and the right front tire was just changed because it went flat. The spare was new and had no mileage on it. The difference in tire size caused the computer to think the vehicle was in a high speed turn. The curve recognition software would downshift the vehicle to a lower gear and wouldn't allow the transmission to upshift past that gear. This is a safety feature to prevent the driver from losing control of the vehicle on high speed turns. The quick check for this problem was to swap the tire from the right front to the right rear. There' a list a mile long of all the issues tires can cause on 4-wheel drive vehicles. The most common complaints are clunks noises, and binding on turns, to name just a few. Use a stagger gauge to check each tire's size when working on these vehicles. An alternate check would be to mark each tire at the bottom with chalk, then roll the car straight until each tire makes 10 revolutions. All 4 tire marks must be within 1/4" of one another. This method might not yet yield accurate results, as even a slight variation in wheel direction can affect the tire position. Another quick test: If you have a sand or dirt road nearby, drive off the pavement and onto the sand or dirt road. if you notice a sudden jump in rotation, you're probably dealing with a tire size or pressure problem. Probably some of the weirdest conditions can be caused by problems with the vehicle's lights. And these conditions can be the most difficult to diagnose. For example: Some early model Ford trucks may develop harsh shifts; at the same time, the odometer stops working. These vehicles are quipped with a programmable speedodometer/odometer module (PSOM) located inside the instrument cluster. No need to connect the scan tool to this vehicle: just look up at the dome light If it isn't working , the fuse for the PSOM may be blown. A short in the interior lights can cause a circuit problem. Another problem with Ford trucks can occur with the taillights If someone replaced the original, incandescent, factory-style bulbs with light emitting diode (LED) bulbs, the PCM will think the brakes are being applied. The torque converter will cycle in and out at 25 to 30 percent throttle opening. The same conditions will occur if the cab-mounted brake light is blown, or changed to an LED bulb. Hyundai vehicles equipped with an F4A40 or 50-series transmission may stop moving forward when the backup lights are on. A Short in the taillight circuit can back feed into the reverse light range sensor circuit. The TCM is programmed to failsafe to neutral when a signal of reverse and drive occur at the same time. On this vehicle there were no codes stored in any module, and the problem wasn't identified until the transmission was replaced with another unit. So you have these weird transmission problems that people spend days on, only to find that they're something simple... and completely unrelated to the transmission. Knowing this, maybe you'll remember to check more than just the fluid level. And with that, you'll have a leg up on discovering those weird problems...before the have you chasing ghosts. Slipping is one of the most common clutch problems. Slipping can occur right after installation or after years of service. A clutch slipping condition on a manual transmission equipped vehicle will manifest itself as excessive RPMs in the engine, but lack of acceleration. Misadjusted, binding, or worn release system, or blocked master cylinder compensation port. Contaminated friction material can contribute to a slipping condition caused by the loss of the material's coefficient of friction. Common causes of contamination include: over-lubricated input shaft splines, leaking engine rear main seals, and transmission input shaft seals. Inspect friction material for contamination. If a vehicle has a hydraulic or manual cable release system, it is important to inspect for a binding condition. 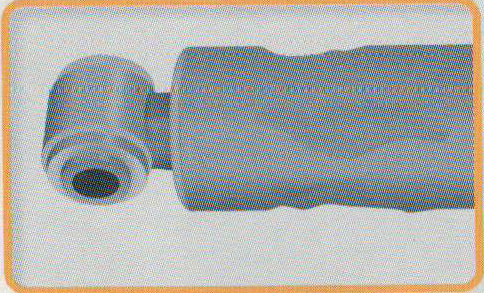 A release cable may be worn, stretched, or kinked. If you are working with a hydraulic release system, there may be issues with the slave cylinder internally. These can include deteriorated seals, o-rings, and hose. The master cylinder may also have a blocked compensation port. This would cause the clutch to remain partially disengaged. These examples can also cause unsmooth pedal travel. Be sure to properly inspect and test the release system on the vehicle. Another reason for slipping is improper step and cup dimensions after a flywheel has been machined. This would cause a "thick disc condition." A thick disc condition is a flywheel step that is too tall, or a flywheel cup that is too shallow. Due to the characteristics of the diaphragm spring the clamp load will be diminished, leading to a slipping condition. Remember to pay attention to OE flywheel specifications. New spring specials have been posted to our "Specials" page. Saving on auto repairs just got a little easier. We know you’re on a budget looking to save money everywhere you can, especially on your auto repairs and car maintenance needs. That’s why Cloquet Automotive offers you money-saving coupons, offers, and seasonal discounts for certain services. You can always find them right here - conveniently located on our website - where you’ll find all of our specials ranging from brake repair offers to oil change deals and much more. We’re committed to keeping your car healthy while keeping you safe without needing to stretch your budget to make it happen. Your wallet will thank you! Only a few more days until spring officially begins. Here are a few tips to keep your car running and operating smoothly after the long winter. Shocks and Struts reduce vehicle weight transfer providing superior handling through the toughest conditions. 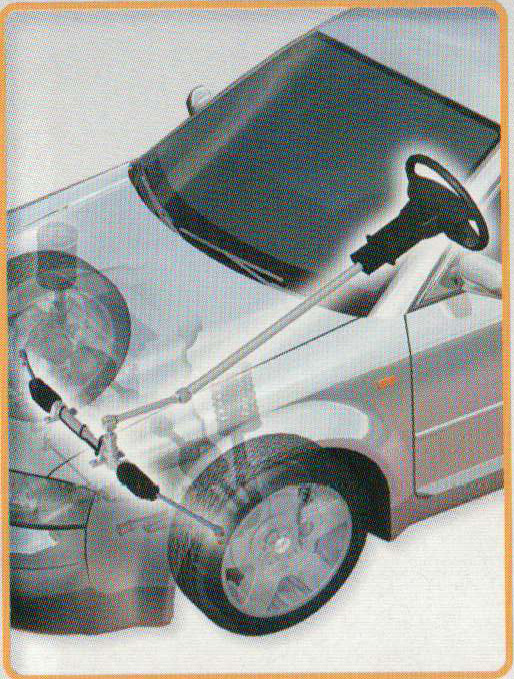 Replace worn shocks and struts to help improve vehicle handling characteristics and comfort. Good news! A fresh set of shocks can enhance more than just your ride. They help improve braking and handling under certain driving conditions, and they make vehicles safer and easier to control. This helps make the road safer for everyone. *Tip* After your vehicle's initial 50,000 miles / 80,000 kilometres inspection, it is a good idea to ask your automotive service provider to perform the Safety Triangle Inspection annually, or every 12,000 miles / 19,200 kilometres. What is the safety triangle inspection? Interviews the owner of the vehicle. Evaluates how the vehicle rides. 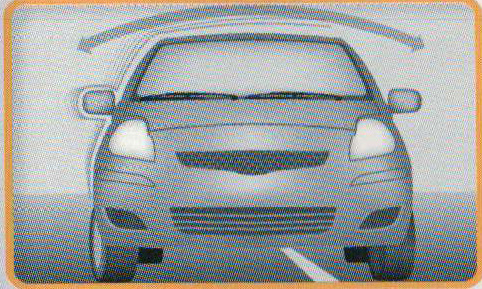 Physically evaluates the vehicle components. Interconnected undercar parts that could affect a driver's ability to avoid accidents are stopping, steering, and stability. Shocks/Struts and brakes work together to help your vehicle stop sooner under certain driving conditions, by keeping tires and wheels in contact with the road. 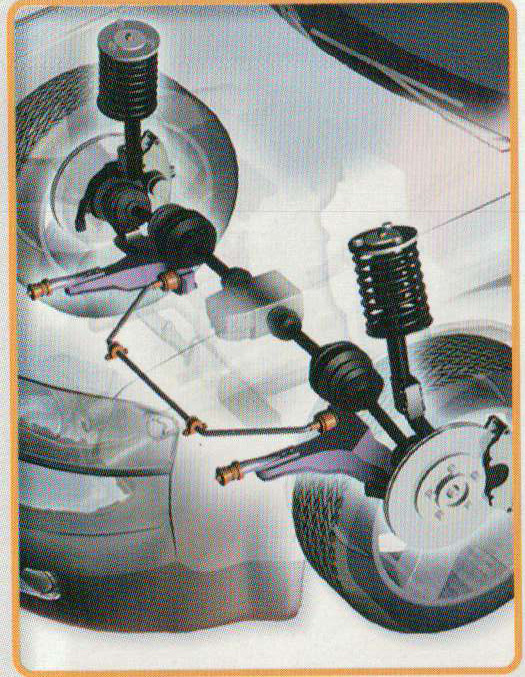 Shocks/Struts help evenly distribute your car's weight over all four tires, improving handling during turns. Shocks/Struts and tires work together to help maximize tire-to-road contact, improving vehicle stability and minimizing weight transfer. How do I know if my shocks / struts are worn? If you see or experience any of these symptoms call Cloquet Automotive at 218-879-1974 or your local automotive service provider. Protect what's important -- follow technicians's suggestions. What is a Wheel Hub Bearing and Why is It Critical to Your Safety? What is a wheel hub bearing and why is it so important? Though you may never even see it, a wheel hub bearing unit is an important part of your car's wheel assembly, enabling you wheels to turn freely and playing a crucial role in the safety and handling characteristics of your vehicle. Comprised of precision-manufactured bearings, seals and sensors in one preassembled unit, a wheel hub bearing unit is critical to your car's performance, form the smoothness of the ride, to fuel efficiency, to the integrity of your anti-lock braking system (ABS). So when it's time to replace one, you'll want a replacement hub bearing that's as good -- and safe -- as the original that came with your car when it was new. How do my car's hub bearings affect braking safety? 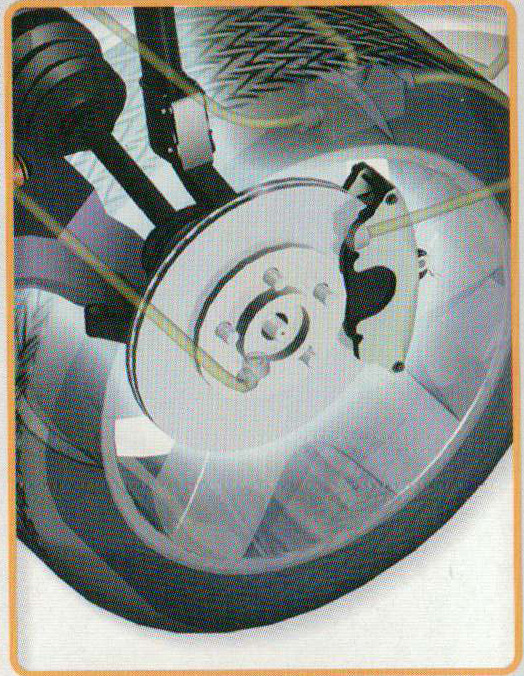 Your car's hub bearings include the wheel speed sensor that controls your anti-lock braking system (ABS). This sensor sends a constant signal to the ABS control system telling it how fast each wheel is turning. 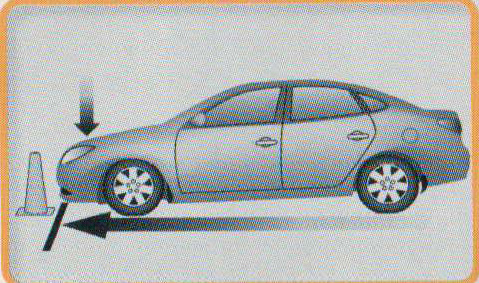 In an emergency situation, the ABS control system will determine if anti-lock braking is required. If the ABS sensor doesn't work properly or fails, the ABS system fails, so the quality of this sensor (how it is made and protected from damage) is critical to braking safety. Why are hub bearings critical to my traction control system? Your car's traction control system (TCS) uses a combination of electronic drivetrain controls in conjunction with the ABS system. Since it uses the same wheel speed sensors and components as the ABS system, it can be considered a subsystem and extension of that system. Together, ABS and TCS work to provide the driver with full control over the vehicle under potentially dangerous road conditions. Why are "value grade" hubs a risky choice? Value grade hubs last less than half as long as premium hubs. Their cheaply made seals can allow moisture and contaminants to enter and destroy the bearing prematurely -- requiring you to pay for a new hub in as little as 10,000 miles. They can cause your anti-lock braking system to malfunction, leading to safety concerns for your vehicle. They can even result in your wheel hub coming off while you are driving -- potentially causing a fatal accident. Could my wheel really come off? YES! Value grade hub bearings are often made using low quality steel and/or improper manufacturing techniques. These hubs can degrade quickly and cause excessive vibration and noise. 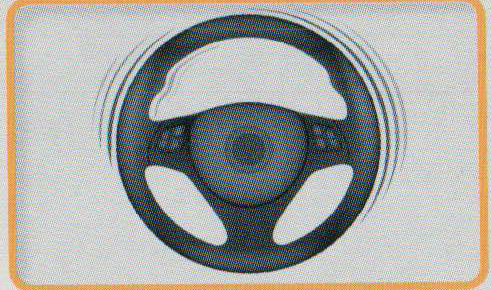 In some cases, the steel can fracture and cause a wheel to break off at high speeds. MUST READ: Acceleration Facts That Will Blow Your Mind!! This was an email sent to me. I do not know who to give credit to, but it definitely deserves a share! Read and enjoy! Ever wonder why a Top Fuel dragster gets a rebuilt engine after each run? Stay with this - even if you aren't a 'car nut', this is stunning. * One Top Fuel dragster outfitted with a 500 cubic-inch replica Dodge (actually Keith Black, etc) Hemi engine makes more horsepower (8,000 HP) than the first 4 rows of cars at NASCAR's Daytona 500.
a fully loaded Boeing 747 consumes jet fuel at the same rate but with 25% less energy being produced. * A stock Dodge Hemi V8 engine cannot produce enough power to even drive the dragster's supercharger. * With 3000 CFM of air being rammed in by the supercharger on overdrive, the fuel mixture is compressed into a near-solid form before ignition. Cylinders run on the verge of hydraulic lockup at full throttle. * At the stoichio-metric 1.7:1 air/fuel mixture for nitro methane the flame front temperature measures 7050 degrees F.
* Nitro methane burns yellow. The spectacular white flame seen above the stacks at night is raw burning hydrogen, dissociated from atmospheric water vapor by the searing exhaust gases. * Dual magnetos supply 44 amps to each spark plug. Which is typically the output of a small electric arc welder in each cylinder. * Spark plug electrodes are totally consumed during a pass. After 1/2 way thru the run, the engine is 'dieseling' from compression and the glow of the exhaust valves at 1400 degrees F. The engine can only be shut down by cutting the fuel flow. * If spark momentarily fails early in the run, unburned nitro builds up in the affected cylinders and then explodes with enough force to blow the cylinder heads off the block in pieces or split the block in half !! * Dragsters reach over 300 MPH +... before you have completed reading this sentence. * In order to exceed 300 MPH in 4.5 seconds, a dragster must accelerate an average of over 4 G's. In order to reach 200 MPH well before reaching half-track, at launch the acceleration approaches 8 G's. * Top Fuel engines turn approximately 540 revolutions from light to light! * Including the burnout, the engine must only survive 900 revolutions under load. * The redline is actually quite high at 9500 RPM. & NOTHING BLOWS UP, each run will cost an estimated $1,000 per second. quicker than a jet fighter plane ... quicker than the space shuttle ... or snapping your fingers! The current Top Fuel dragster elapsed time record is 4.42 seconds for the quarter-mile (2004, Doug Kalitta). The top speed record is 337.58 MPH as measured over the last 66' of the run (2005, Tony Schumacher). Up date to this there only going 1000 feet( 320 feel less than 1/4 mile) they do it in 3.7 seconds and around 332 mph with 10,000 horse power now. with 90% nitromethane 10% alcohol. THEY THOUGHT THEY WERE GOING TOO FAST FOR 1/4 MILE AND COULDNT STOP. Imagine this: You're driving a new $140,000 Lingenfelter twin-turbo powered Corvette Z-06. Over a mile up the road, a Top Fuel dragster is staged & ready to 'launch' down a quarter-mile strip as you pass. You have the advantage of a flying start. You run the 'Vette hard, on up through the gears and blast across the starting line & pass the dragster at an honest 200 MPH. The 'tree' goes green for both of you at that exact moment. The dragster departs & starts after you. You keep your foot buried hard to the floor, and suddenly you hear an incredibly brutally screaming whine that seares and pummels your eardrums & within a mere 3 seconds the dragster effortlessly catches & passes you. He beats you to the finish line, a quarter-mile away from where you just passed him. Think about it – from a standing start, the dragster had spotted you 200 MPH. And it not only caught, but nearly blasted you off the planet when he passed you within a mere 1320 foot long race! That, my friends is acceleration.